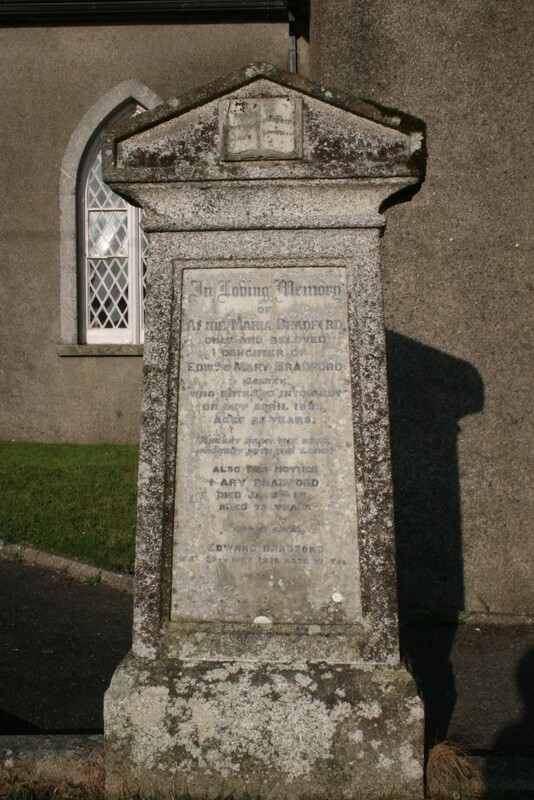 In loving memory of Annie Maria Bradford only and beloved daughter of Edwd & Mary Bradford , Dalkey who entered into rest on 22nd April 1893 aged 23 years. Absent from the body , present with the lord. 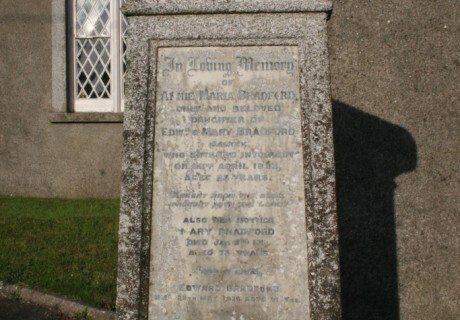 Also her mother Mary Bradford died Jan. 3rd 1919 aged 73 years. Edward Bradford died 28th May 1926 aged 81 yrs.